A professional grass trimmer that combines performance, portability and innovation. Dependable performance meets variable speed control. The STIHL FS 94 R trimmer delivers one of the best power-to-weight ratios in its class, weighing just over 10 pounds - great for maneuvering around hills, landscaping stones and other terrain. Its innovative control handle features an ECOSPEED throttle set wheel, allowing you to set the most effective throttle speed for a specific application such as low throttle around delicate plants. 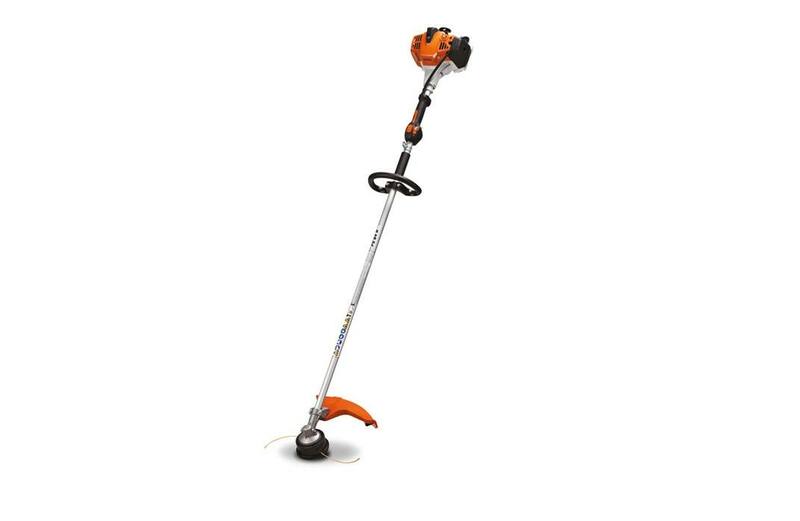 Combined with a high-powered, low-exhaust-emission engine and anti-vibration system, this grass and weed trimmer is a great everyday landscaping tool for trimming professionals. Simplified Starting Procedure: To get started, simply pump the fuel primer, set the choke and pull the starter cord. The built-in stop switch allows the user to turn off the engine with a simple press of the button. When the engine is off, the throttle lock automatically returns to the “start" setting. Your power tool will be ready to be started when you're ready to get back to work. * Weight without deflector or cutting attachment.